3 April 2017 - SCI Featured Composer and Podcast! I just got a fantastic email! Everyone check out http://www.societyofcomposers.org/index.php . You'll see that I'm the featured composer for the day! 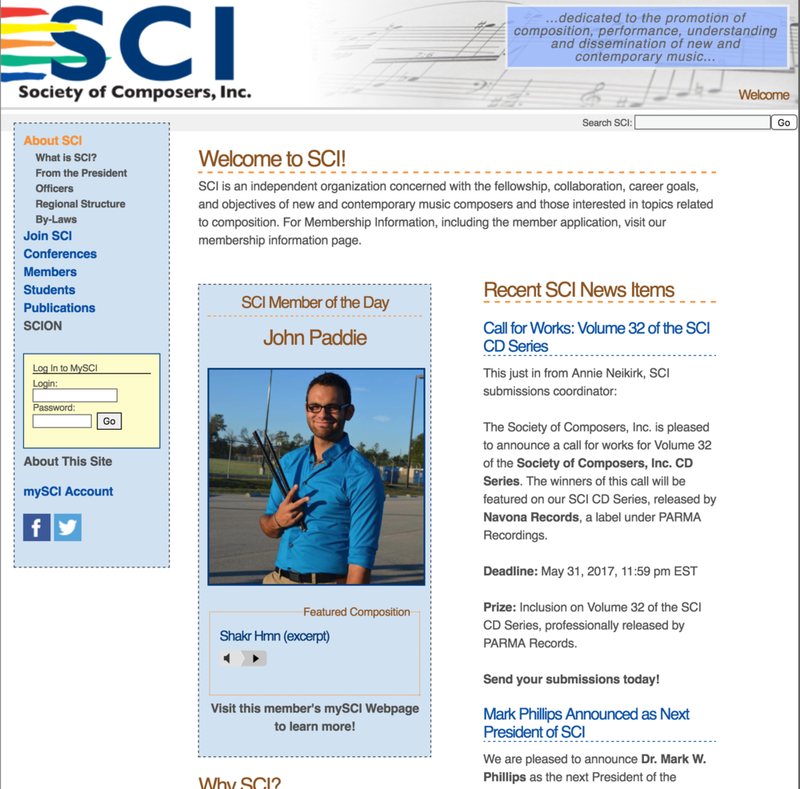 This is pretty rad; SCI is an important group for composers and other musicians too. Also, if you haven't yet, please feel free to check out Episode 1 of Music In Our World! It's available through the previous blog post, and will hopefully soon be available through iTunes (process pending). I had my first meeting today with the other board members of Space City Performing Arts, and I'm pleased to say that big things are in the works for this group! As soon as more details are available, I'll be happy to share with you all!